Joan Jung is one of the few trainers in the Metroplex offering "clicker training" - a positive method based on scientific learning theory. Shiloh Road Kennels offers a full range of training in a modern, climate controlled training facility. 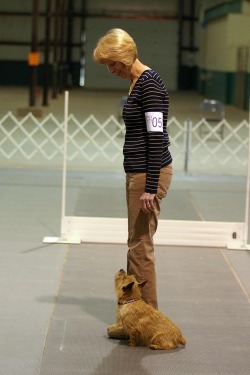 Training Classes - Weekly classes are held for all levels of obedience. 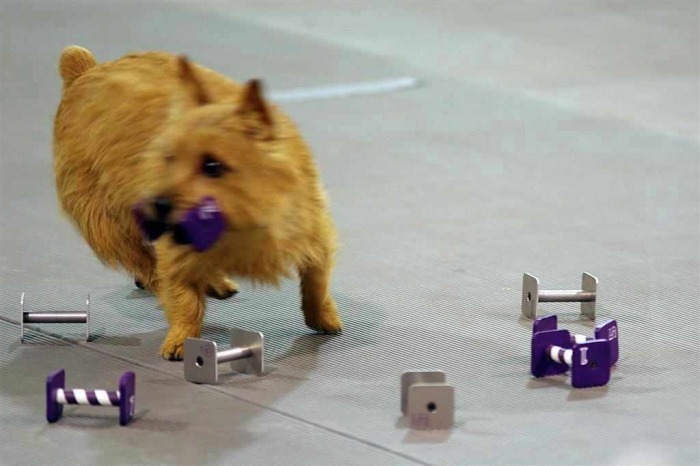 Private Lessons - Get one-on-one help with your dog's behavioral problems or training needs. "I came to see Joan Jung because of her reputation as a successful dog trainer. I found out about her positive training methods, and I wanted to learn as much as I possibly could. After attending my first clicker seminar at Joan's facility, I was hooked. Although my dog, Ute, had obtained relatively good scores in novice obedience, I noticed how quickly and happily she was responding to clicker training. Her mood changed. She began looking forward to training rather than dreading it. I also learned important things about my dog that I was not aware of. Because of this new knowledge, I learned where to direct my efforts in training her. Joan is a compassionate, patient, and creative trainer. She is not afraid to try new things. Although experienced and successful, she is constantly educating herself as a trainer. I can't think of anyone else I would rather train myself and my dog with." "A Unique Country Retreat for Your Pet"